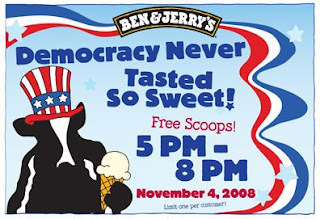 It's an awesome thing that B&J's is doing this promo to encourage voting. Too bad the store in circle centre went out of business...there isn't one even remotely close to us now. Hope it works! It should, who doesn't love free ice cream?